The Kapil Sharma Show' is losing its popularity to be one year old. With this, 100 episodes of the show are also being completed. 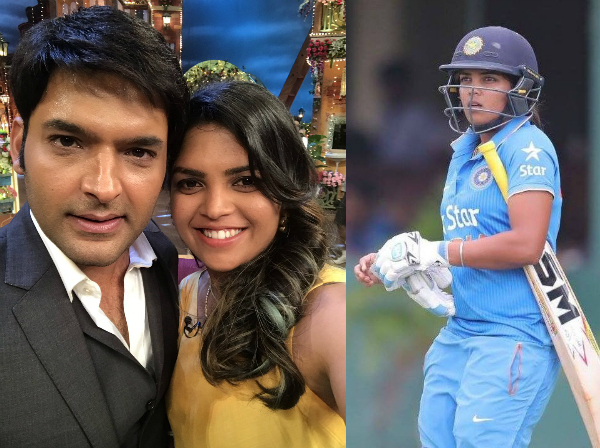 On this occasion, Kapil has celebrated special guests by inviting them on the show. But without the Sunil Grover, Ali Asgar, Chandan Prabhakar and Sugandha Mishra, this celebration was faded. When the first episode of this show was telecast on April 23, 2016, viewers were very happy. But today this show is losing its popularity. According to data from BARC (Broadcast Audience Research Council) India, the number of viewers of 'The Kapil Sharma Show' has come down. Now less people see it. This show is unpopular between the audience over time. The reason for this is nothing but a dispute between Kapil Sharma and Sunil Grover. While the first 'The Kapil Sharma Show' was a part of the top-10 list, the show was defeated by the second reality shows of TV like 'Nach Baliye-8' and 'Sa Re Ga Ma Pa Little Chump'. 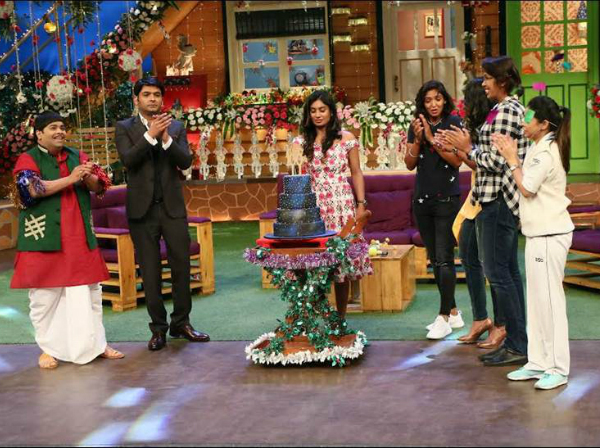 The special cake of the 100th episode of 'The Kapil Sharma Show' was cut by the Indian women's cricket team. 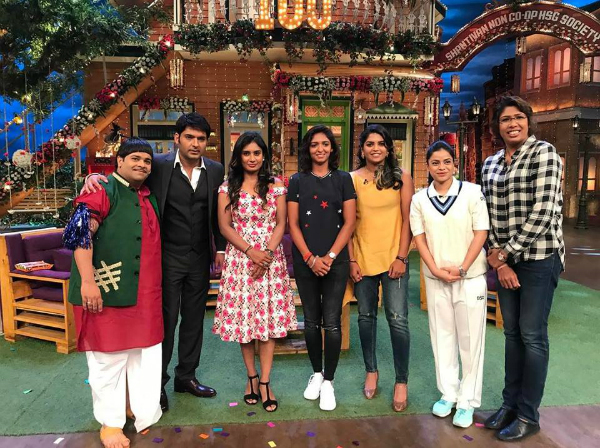 During this time, Kiku Sharda, Sumona Chakraborty and members of the women's cricket team were present along with Kapil. Comedian Sunil Grover and Ali Asgar will soon be seen in Sony TV's other show 'biggest artist'. Together, both of them will see the audience laughing. They also shot an episode of this on Tuesday, April 18th. However, this episode will be broadcast on Channel 7 on May 7 at 8 pm. Significantly, the dispute between Kapil Sharma and Sunil Grover has not been settled so far. He has not even returned to the show. Not only this, Chandan Prabhakar, Ali Asghar and Sugandha Mishra have not been seen again in the show. This dispute came after Kapil's mistrust in the flight. 0 Response to "Kapil, disappointed without Sunil, faded 100th episode"